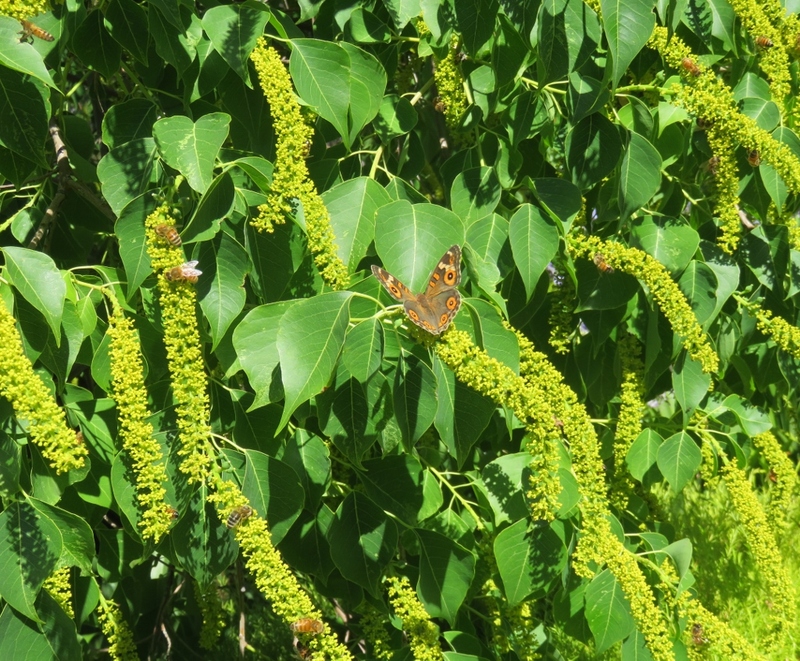 Your house and garden seem well fortified against the extreme heat you have endured this summer, loved all the pictures of the birds and plants. That final sunset is almost too good to be true. Yes the sunset is just amazing… I had trouble choosing that photo I had so many! Gorgeous photos, and you know you always have my attention when you include your beautiful feathered friends. 🙂 Fall is not my favorite season because of the mounds and mounds of leaves we have to move repeatedly. I love spring and summer when I can be outside and pick my own work schedule. 🙂 Wishing you a beautiful fall season to enjoy. Thanks Judy…you have just reminded me of the falling leaves…wish we could pass on that job! 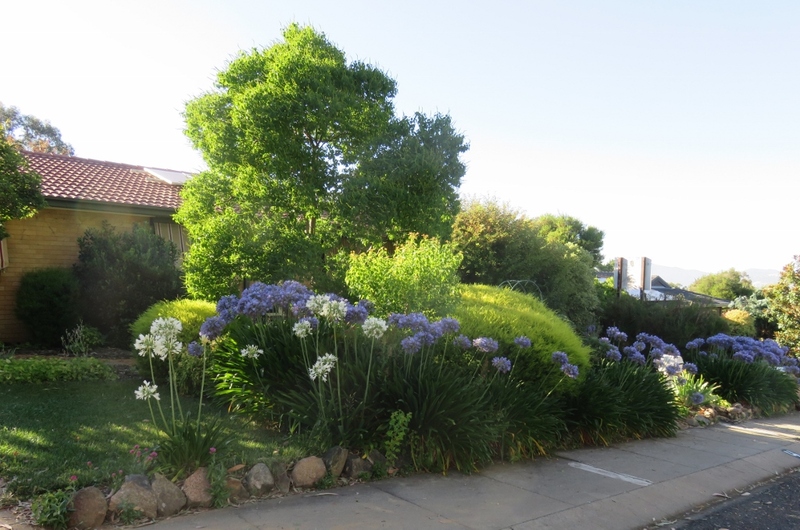 Great to see more shots of your garden, it looks lovely. Salvias taking over the garden.. in my dreams! 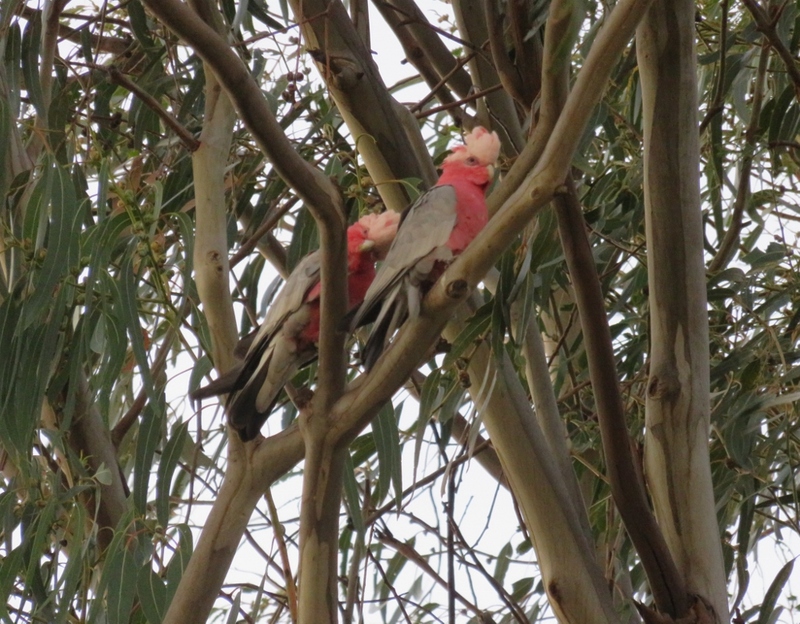 And the galahs! 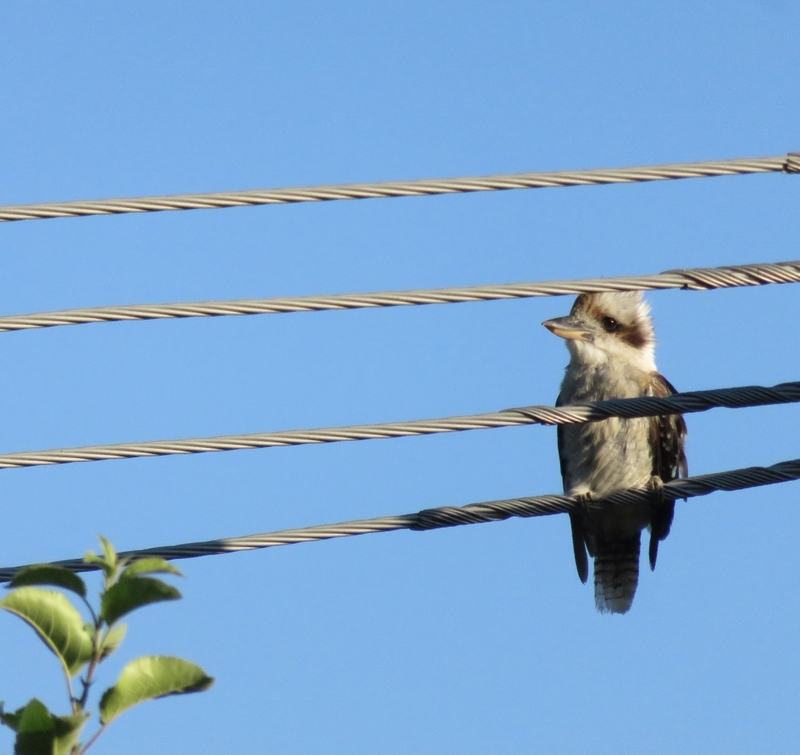 I saw them in South Australia, gosh they make a racket! 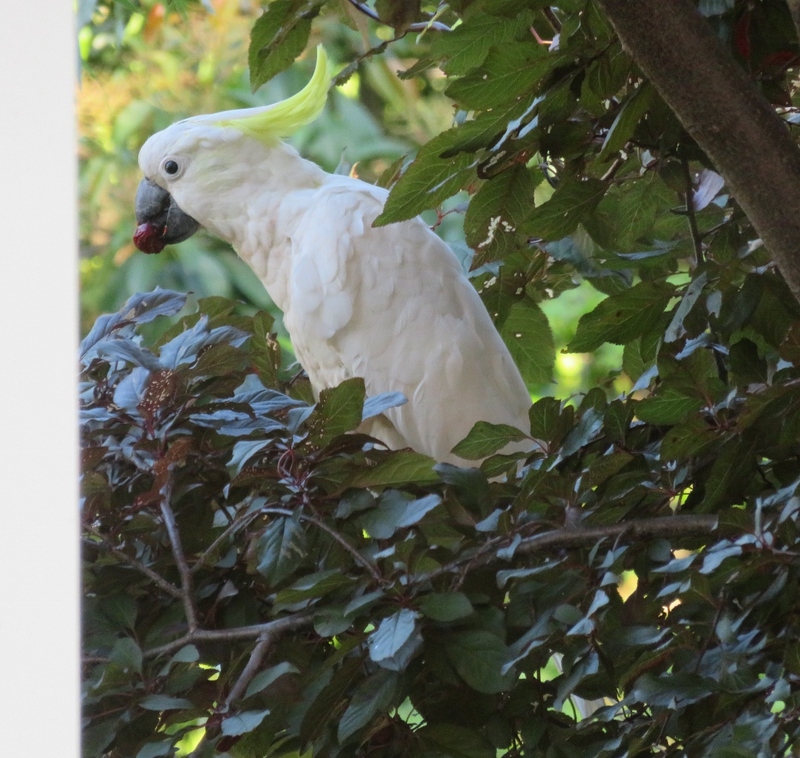 Thanks Jessica…yes the galahs and the cockatoos….and the rest of the birds here, very, very noisy! perhaps screaming hadedas are not so bad then. 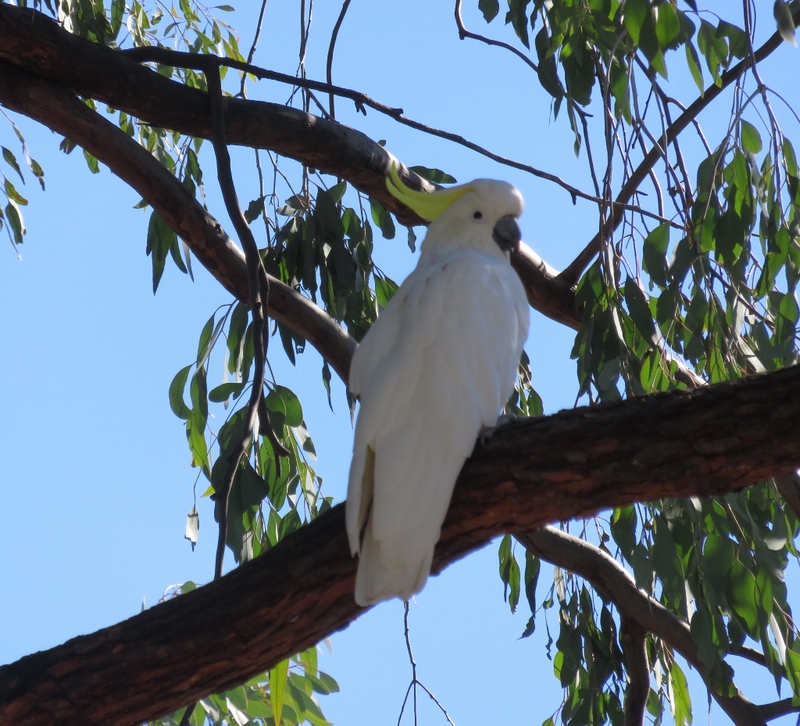 The Hadedas are just like the Ibis in Sydney Botanic Garden … They start settling down in trees at about 4.00 pm .. 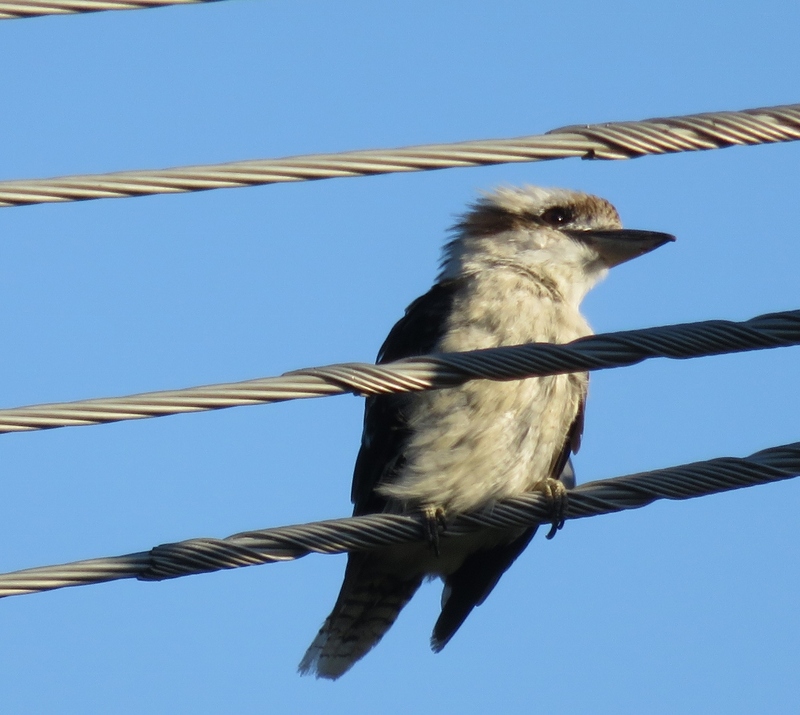 So true about the name kookaburra … Very Aussie sounding. I guess our summers are similar to a Florida summer…we are lucky! 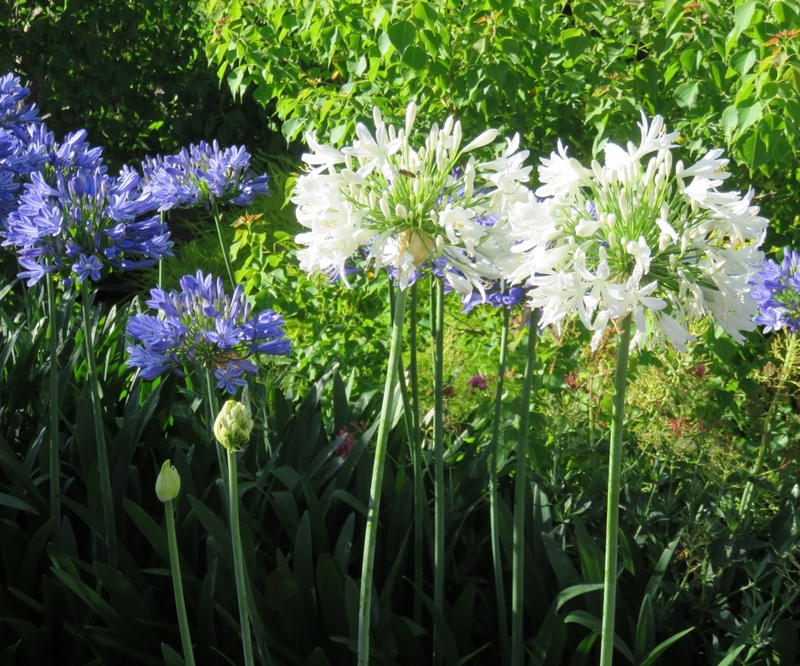 Your Agapanthus are just beautiful, and so are the gallah birds. And are your sunsets always so dramatic, or is it something that happens more often in late summer? Here we are waiting for spring to get going. 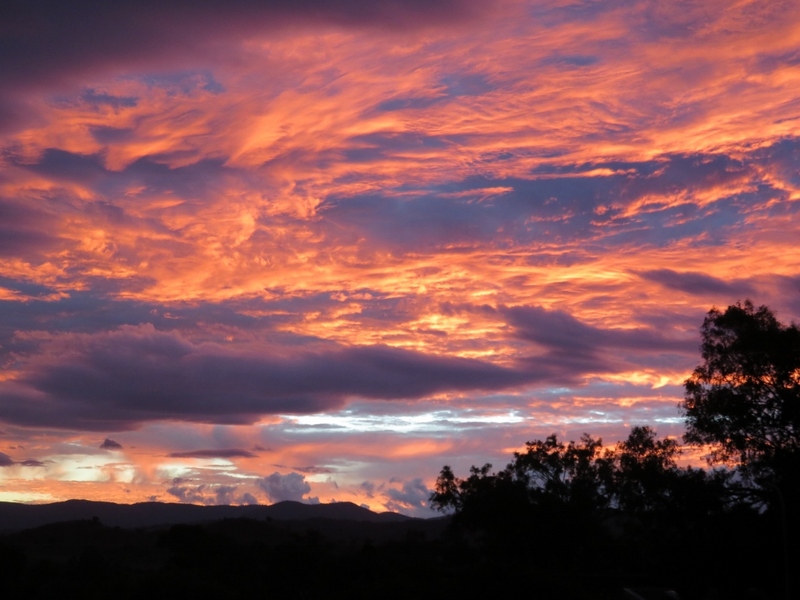 This summer we have had unusually colourful sunsets … It has been very hot & dry …maybe that is why. What a wonderful post. 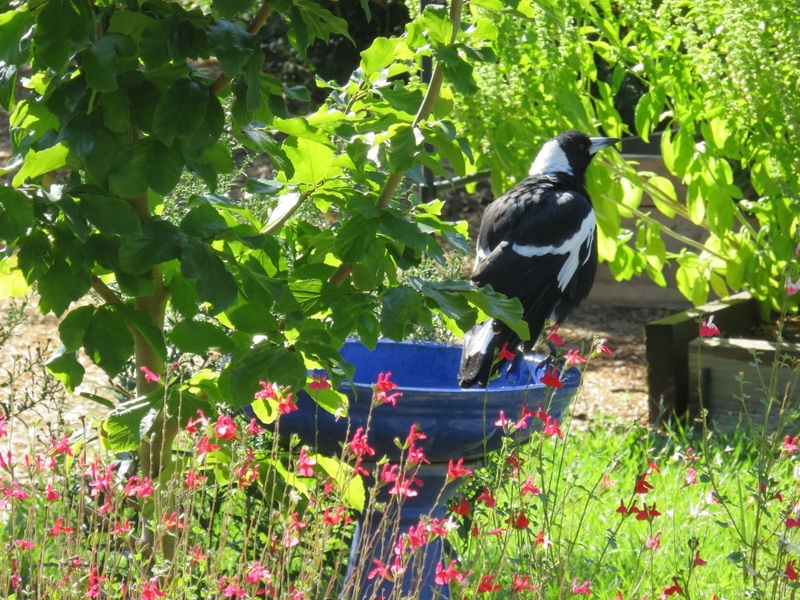 Your gardens are just lovely and those birds … So much color! 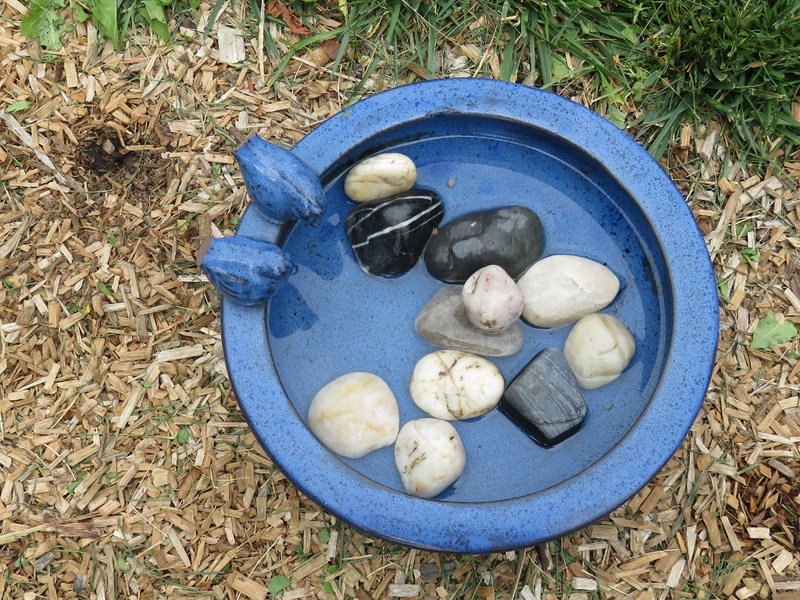 Good idea to put the rocks in the water for the bees. They need water to drink but drown easily. Many years ago when we lived in Florida we planted a Chinese Tallow in our front yard. Afterwards we discovered that they were considered pests. But we loved it. I hope that the people who bought our house didn’t curse us years later. 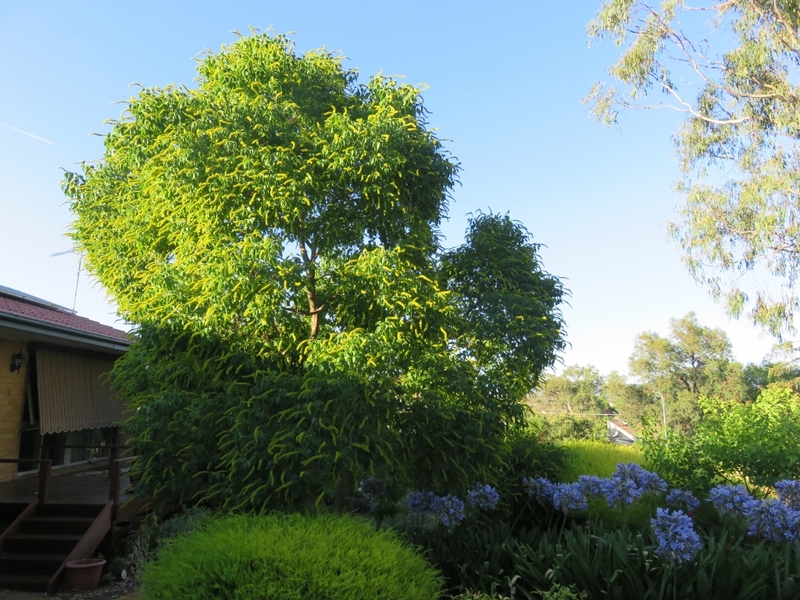 Thanks Brenda, we are going to trim our Chinese Tallow to make sure it doesn’t get any bigger, it is a joy to look at, especially in the autumn. Your garden looks so pretty. 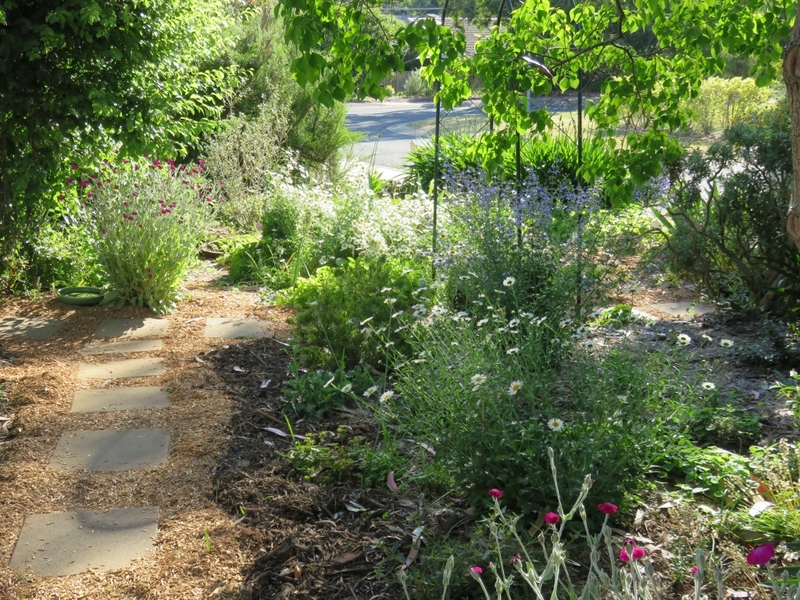 Incredibly lush for Canberra. What I’d do for some Canberra sun right now!! 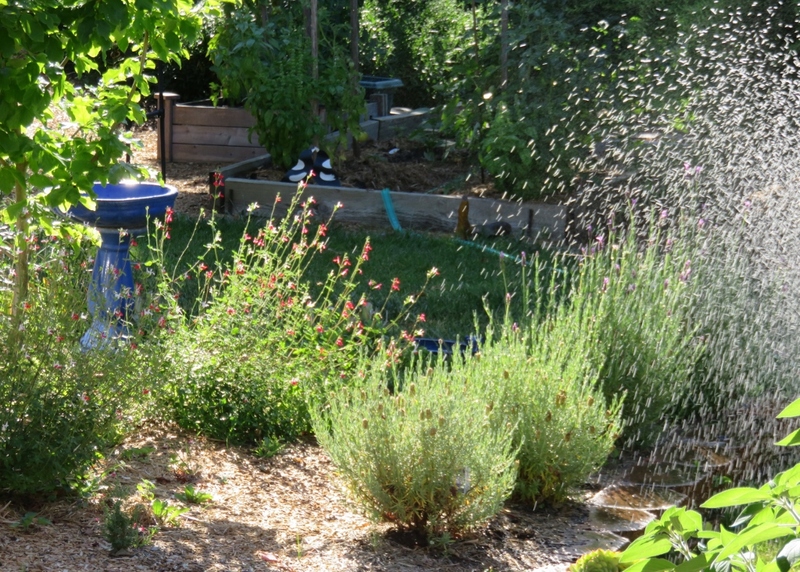 Actually, it has been very dry during January and February, we will have a big water bill, but the garden is really our port in a storm, so we keep up the water to everything. Cross fingers a lovely warm spring is coming your way! Yes, 41 degrees was too much, fortunately it didn’t last long. Glad you liked the little kookaburra, he melted my heart! Welcome home after all your travels!